The first European-wide debate with the candidates for the next president of the European Commission ended after exciting 90 minutes in Maastricht. Jean-Claude Juncker from the Conservatives (EPP), Martin Schulz from the Socialdemocrats (S&D), Guy Verhofstadt from the Liberals (ALDE) and Ska Keller from the Greens were in the debate broadcasted live by Euronews. The clear winner of the debate was the European public that for the first time could engage on a large scheme with the future policy makers. The only problem was the format that hardly allowed debate and had moderators that were way too strict. Another failure was the Left where Alexis Tsipras (GUE) was not present. Clearly a signal of weakness and not of strength. In the following, I will describe the performance of each candidate. 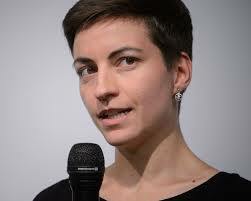 The German who shares the Greens’ top slot with José Bové of France, was the only woman on the podium and by far the youngest. Rhetorically, Keller came across as very refreshing despite the fact that her start was a bit rocky. She was able to bring across her main issues like migration, environment and development very well. Keller had to remind Schulz that also a woman could become the president of the Commission. Keller also mentioned the Young European Federalists as a force of young people who stand up for Europe. Keller made clear that she wants a topic-based discussion and not just general debates about Europe. Thus, the elections should not just be a discussion if one is pro or contra Europe but rather one can be changed so that the people feel their will to be represented. She criticized Juncker that there are homophobes and eurosceptics in the EPP. Her stance on the Ukraine to call on dialogue appeared as a bit out of place, particularly as she stressed the success of the Geneva Accords. However, she had a strong line on the free trade agreement between the US and the EU that is currently negotiated. She said that “It’s not enough if they [the US] stop spying on Merkel, they have to stop spying on all of us.” The Greens have done themselves a great favor to select her and not Rebecca Harms. The current president of the European Parliament declared himself openly to be in favor of a federal Europe. However, at the same time he stepped back and argued that “we have to take into account the reality.” To me, that is clearly not a sign of vision. He is in favor of a treaty change. His main aim is to change the ordinary citizens’ life. That’s why he is here. Schulz tried hard to respond to the question of the audience and was a couple of times clearly upset that there was no more room for debate or replies to comments that his contestants made. He went so far to take a pass on a short statement he was offered to make by the moderator knowing that the time would not be sufficient. Overall, Schulz was way too aggressive though coming across as the stereotypical German (although he is fulfilling the stereotype of a German abroad and not of other German politicians). Schulz was not very kind and often interrupted the other candidates. Unfortunately for him, his jokes were also terrible (with the notable exception at the end that Jacques Delores was actually a Socialist when Verhofstadt said that he wanted to be like Delores). 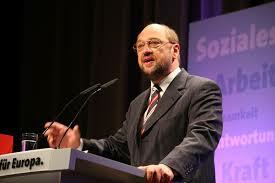 Schulz was able to come across as caring for the ordinary person although his rhetorical style was over the top. Especially at the beginning, the former Belgian Prime Minister had a couple of verbal exchanges with Schulz. Verhofstadt made clear that the Council managed the crisis very badly. Thus, he called for a stronger Commission that would take initiative by itself. He would not act like current president José Manuel Barroso who first calls Berlin and Paris before he takes an initiative. 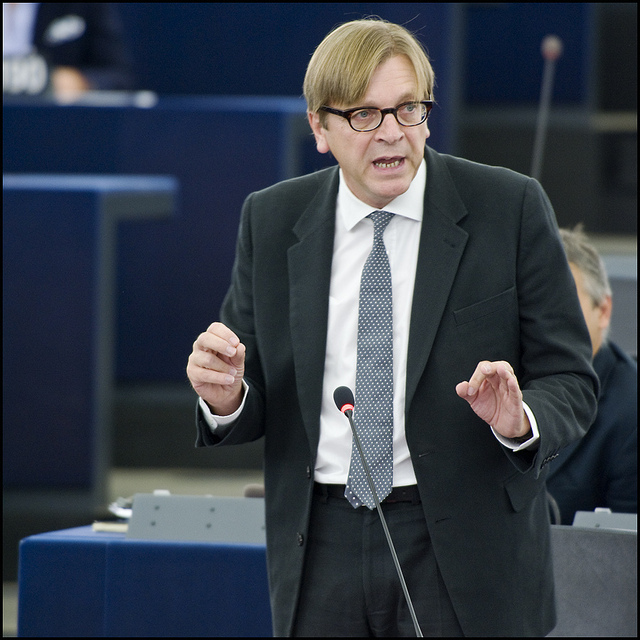 Throughout the debate, Verhofstadt was very active and made his points clear. Not surprisingly, he spoke out in favor He was able to find a balance in comparison to Schulz who was too aggressive and Juncker who came across as passive. “It will be the end of European democracy if after this election council takes someone outside,” said Verhofstadt and got a lot of applause. Verhofstadt addressed unemployment and said a European approach is necessary because the whole of Europe is affected. Thus, it is not a matter of sovereignty but rather the use of an economy of scale is necessary but hard to implement as the EU countries have not integrated enough. Interestingly, he said that Jacques Delores would be his role model as a president of the Commission. Overall, he had good lines and was throughout the debate very convincing. No surprise that the 700 young people in the audience were applauding the strongest for his favor at the end of the debate. The former prime minister of Luxembourg insisted that the real power in Europe is with the voters and not with the Council. A person who has been part of the Council for more than 16 years it almost appeared as a cynical statement. Although he is right that with the Treaty of Lisbon, the voters and the European Parliament do have more powers, the Council is still way too strong in the set-up of the EU institutions. In general, Juncker missed out to address directly the people from the audience when they asked a question and he came across as very boring. On immigration, Juncker did not try to talk tough and said that Europe will need many immigrants during the next years for economic reasons. 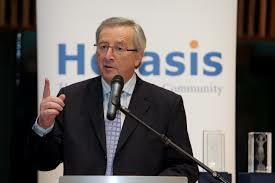 Surprisingly weak was Juncker on the issue of Ukraine where he was not able to say much. To his defense also his competitors were not much better, with probably the exception of Verhofstadt who called for sanctions against Russian oligarchs close to Putin. Juncker made also clear that he will not work together with right extremists in the next legislation period. Verhofstadt reminded him though with Berlusconi in Italy and Orban in Hungary, the EPP has in fact eurosceptics in his party. Although the latest polls for the European Parliament are in favor of his EPP, Juncker clearly had the worst performance of the four would-be presidents on the podium. The moderation rightly got a lot of critique on social media because hardly any debate was possible between the candidates. Surely they had orders from above, but they certainly could have been more generous with time to the candidates. Overall, the format of the debate tried to cover all major topics, from energy to foreign policy – in just 90 minutes. Surely, focused debates with 2-3 subjects but therefore several ones, would make more sense in the future. As Schulz rightly pointed out during the debate, many people across the EU think that their vote does not matter. With this TV debate, it is a good step into the right direction. It will certainly not close the so-called “democratic deficit” of the EU, but with an informed public there are new ways to make politics. This debate where up to 10,000 tweets included the hash tag #EUdebate2014 in one minute, clearly raised an eyebrow of the interested public in the 28 member states. Consequently, the real winner of the debate is the European public who finally had the opportunity to not only see their national candidates for European Parliament but can get an insight into the European dimension. On 15 May, there will be the second and final EU-wide debate, just ahead of the European Parliament elections that will take place from 22-25 May. Hopefully more voters than in 2009 will be convinced to go to the polls and cast their votes. After all, it is in the hands of all EU citizens to decide about their future.